With so many factors and options to consider, it’s sometimes hard to feel 100% comfortable that you’ve made the right decision. Our responsibility as Spring Apartments property management professionals is to make that move as easy as possible, and to do everything we can to make sure you’ll be pleased with your new home. That’s why we’ve adopted a Pledge to Our Customers. 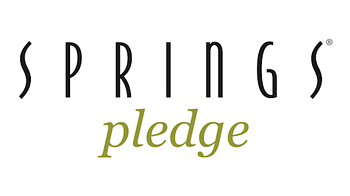 We hope this pledge will give prospective residents another reason to choose Springs as their new home. This pledge is a high benchmark for our teams and one we take very seriously. We enthusiastically embrace it because we know it will help make Springs a great place for us to work and, more importantly, for our residents to live.